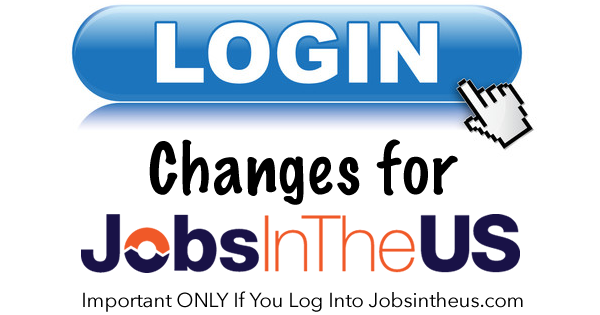 This is an important message for anyone who logs in to JobsInTheUS.com to manage their jobs. JobsInTheUS.com is now strictly an aggregator of jobs from our 51 state sites. If you previously used that version you will need to begin logging into any of our 51 state sites to manage your account instead. The 51 state sites are all “tied together” and function as one platform for login purposes. We will be using JobsInTheUS.com as an umbrella site that feeds traffic into our state sites for a more local experience. All your jobs are automatically included on the JobsInTheUS.com site as part of your existing account. We believe this change affects only a small number of users but if you have any question feel free to call us at 877-374-1088.